I know what I want for myself and for others. I know who is in control of everything. So I pray to the Creator of the Universe. My dad. And God responds – yes, no or wait. I like the ‘yes’. I don’t like the ‘no’. And the ‘wait’ is the hardest answer of all. I’m not good at waiting, are you? Why wait? Did he really say ‘wait’? Is he ever going to change his answer to ‘yes’? Hannah was in this same situation in 1 Samuel. She was in misery because she had no children and she wanted a son. Women at that time were looked down on if they had no children. What’s wrong with her? Other women picked on her. And “this went on year after year”. It might have seemed like God was saying ‘no’ to Hannah because it took years. But he was waiting for the right time. God knows the right time – I don’t. So I have to wait. This time of waiting is not wasted. 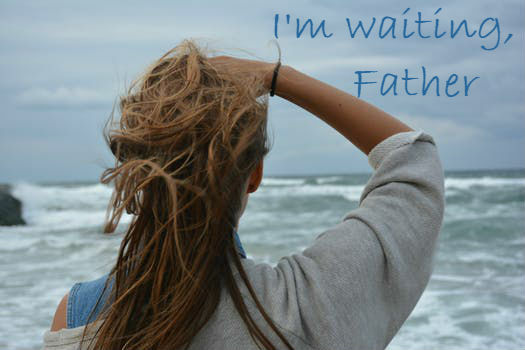 When I am faithful and tuned into him, he uses this time to grow my faith and grow my wisdom and grow my understanding. I see that with Hannah – God was preparing her while she waits to be the mother of Samuel – a great man of God. So I will wait. I will pray for God’s will to be done in my life. I will trust that, at the right time, he will give me what is best for me. He has always been faithful in the past, he is faithful today and he will be faithful for eternity.